Portfolio management services firm ASK Investment Managers Ltd and microfinance company Muthoot Microfin, which are both backed by private equity investors, have received regulatory approval to float their respective initial public offerings (IPOs). The Securities and Exchange Board of India (SEBI) issued final observations to ASK and Muthoot Microfin on 5 October. It has also approved the IPO proposals of two other companies - Puranik Builders Ltd and Nihilent Ltd.
With this, the capital markets regulator has now approved 55 IPO proposals so far in 2018. In the previous year, SEBI had handed out as many as 46 clearances. ASK, which counts US-headquartered private equity firm Advent International among its investors, had filed its draft red herring prospectus (DRHP) on 7 August. Advent, which owns a 49.47% stake in ASK directly and through its subsidiary, has proposed to sell roughly 19% stake in the Mumbai-based portfolio and wealth management firm. Advent's post-IPO stake in ASK will be about 30-31%after accounting for fresh shares, VCCircle estimates show. The total size of ASK Investment’s proposed IPO is estimated at Rs 2,000 crore (around $290 million) and may result in roughly 35-36% stake dilution on a post-issue basis. This may value ASK at an estimated Rs 5,625 crore (around $815 million). ASK is set to become the first standalone portfolio management services firm in India go public. Listed companies in the broader broking and portfolio management services segment include Motilal Oswal Financial Services, Emkay Global Financial Services, Edelweiss Financial Services, JM Financial, and IIFL Holdings. Muthoot Microfin Ltd, the micro loans arm of Kerala-based Muthoot Pappachan Group, had filed its DRHP on 27 July. 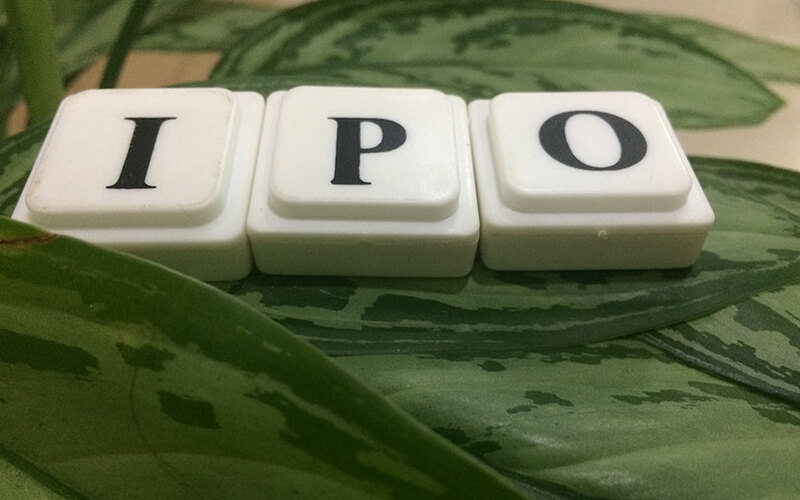 The IPO will comprise both an issue of fresh shares by the company and an offer for sale by existing shareholders, a person close to the development told VCCircle. The total IPO size is likely to be Rs 800-1,000 crore ($123-153 million), the person said. About a third of the amount raised via the fresh issue would go towards financing the company’s expansion. The offer for sale could involve US-based Creation Investments LLC divesting its stake in Muthoot Microfin fully or partially. The PE firm had invested Rs 130 crore ($20 million) in the microlender in early 2017 for an 11% stake, valuing the company at around Rs 1,111 crore. The transaction was the first PE round of funding for a Muthoot Pappachan Group company. In October last year, Muthoot Microfin said it was planning to sell a stake to a PE player to raise $50 million. So far, the stake sale has not materialised. But before the proposed IPO, the company's promoter group has infused capital into the microfinance firm, said the person mentioned above. The group has a presence in various sectors, including hospitality, automotive, realty, information technology, healthcare and alternative energy. Muthoot Fincorp, the group’s flagship entity, offers gold and other loans. Muthoot Housing Finance Company Ltd offers housing loans while Muthoot Capital Services Ltd, which is listed on stock exchange and has a market value of Rs 1,500 crore, offers commercial and consumer-finance products. The group is not connected to Muthoot Finance, another gold loan company. Thane-based real estate developer Puranik Builders had filed its DRHP on 27 June. The IPO comprises a fresh issue of shares worth Rs 810 crore besides a secondary market sale of nearly 1.86 million shares by the company’s promoters. The public issue size is estimated at Rs 1,000 crore ($145 million), people familiar with the development told VCCircle. Puranik will join Lodha Developers and other major real estate firms looking to go public after a prolonged lull in realty IPOs. Oberoi Realty Ltd, owned by Vikas Oberoi, went public in October 2010 with a Rs 1,028-crore IPO. It now commands a market capitalisation of Rs 16,800 crore. NCR-based DLF Ltd is currently the largest listed realty firm by market capitalisation at Rs 34,300 crore. Lodha Developers had filed its draft red herring prospectus on 26 April for an IPO worth an estimated Rs 5,000-5,350 crore ($750-800 million). The Pune-based mid-sized IT firm Nihilent Ltd had refiled its draft proposal on 10 August. The IPO comprises fresh shares worth Rs 250 crore and nearly 2.13 million shares of promoter group entity Vastu IT Pvt. Ltd and 42 other individual shareholders. Formerly Nihilent Technologies Ltd, the company had first filed its IPO proposal in December 2015 for which it received approval in February 2016. Nihilent is among a growing list of companies that are majority-owned by international firms in seeking to go public in India. The company was incorporated in May 2000. Nihilent's service offerings include enterprise transformation and change management, digital transformation services and enterprise IT solutions. VCCircle had reported that global brewer Carlsberg could become one of the few MNCs to list their local units in India. Other foreign firms looking to list their India units include Singapore-based Affle Holdings Pte. Ltd, which provides mobile commerce and marketing solutions for consumers and businesses. Singaporean infrastructure conglomerate Sembcorp Industries Ltd recently received approval to list its Indian energy unit. Nihilent is 69.16% owned by Hatch Investments (Mauritius) Ltd. Hatch is an investment holding company jointly controlled by NTT-owned firm Dimension Data Protocol BV and South Africa's Adcorp Professional Services Ltd.
Hatch was previously part of Nedbank Africa Investment Ltd, which had originally backed Nihilent with Rs 30 crore in funding. Of the fresh net proceeds, the company plans to use around Rs 125 crore to fund inorganic growth through strategic acquisitions, Rs 24 crore to replace and upgrade facilities at its corporate office, besides spending capital on shifting its branch office, setting up experience laboratories and general corporate purposes.